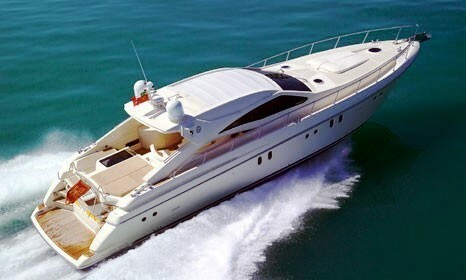 Luxury motor yacht Miss Money Penny is a DP 58 Hard Top, yacht built in 2006 designed by Delta Lab studio. Delta Lab is noted for its aggressive and determined yet beautifully elegant lines; 3 cabins for 6 guests, separated crew quarter. 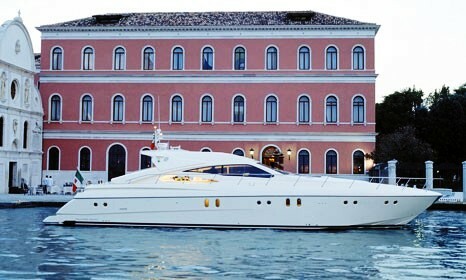 Her home port is Naples as she is therefore ideal for yacht charter vacations around Tuscany and Amalfi in Italy. 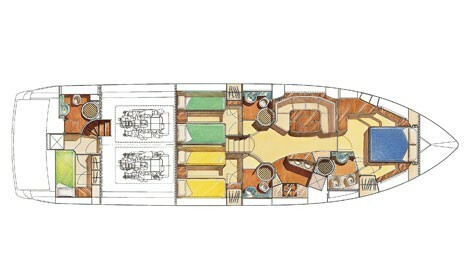 Charter yacht Miss Money Penny boasts supreme comfort with ample use of wood and marine plywood interiors, harmonious design and sophisticated materials. The beauty of her lounge is enhanced by the presence of a liquid-crystal TV, a central stereo system and essential appliances. Easy access is provided to the living area down broad wooden stairs with shaped steps. 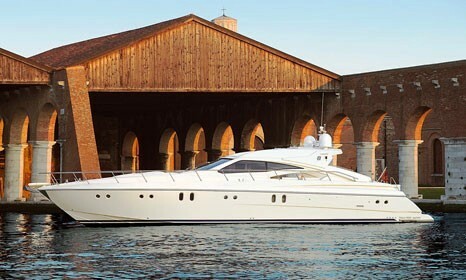 The DP 58’ is an extremely livable express cruiser with 3 cabins: one spacious double bedded owner’s cabin and two twins with separate berths for guests; the aft cabin is used by the crew. The owner’s area is superbly appointed and complete with many conveniences, such as a generously sized wardrobe and direct access to the bathroom area. The wooden furniture and precious linings are created entirely by highly specialized Dalla Pietà craftsmen. 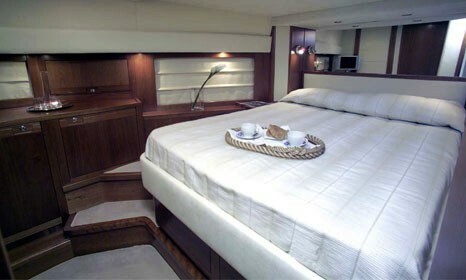 Absolute privacy is assured: each cabin has its own bathroom with separate shower and TV, included the crew cabin. 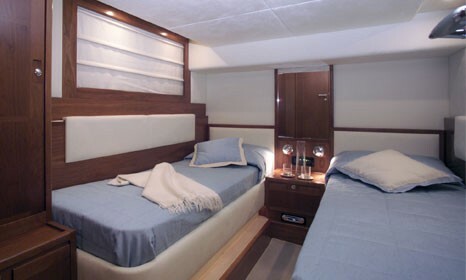 Guest Accommodation 3 cabins: one spacious double bedded owner’s cabin and two twins with separate berths for guests; the aft cabin is used by the crew. The owner’s area is superbly appointed and complete with many conveniences, such as a generously sized wardrobe and direct access to the bathroom area. The wooden furniture and precious linings are created entirely by highly specialized Dalla Pietà craftsmen. 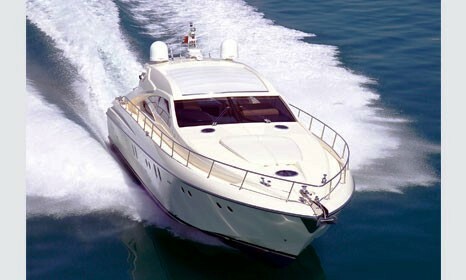 Absolute privacy is assured: each cabin has its own bathroom with separate shower and TV, included the crew cabin. Refrigerator/freezer with a total capacity of 300 litres, microwave oven. 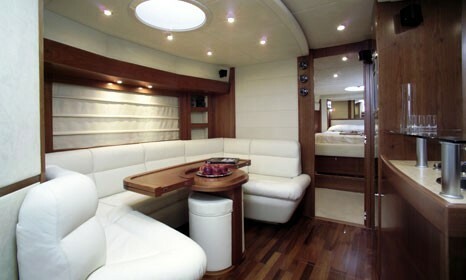 Liquid Crystal TV in saloon with DVD and Sky, central stereo system, flat screen Tv in each cabin with DVD and Sky. 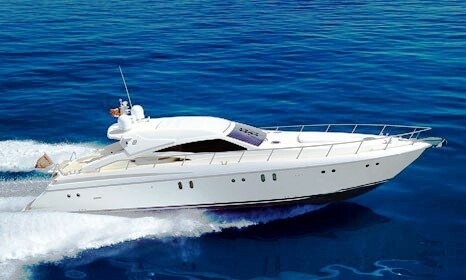 Tender with outboard engine, air conditioning and heating thoroughout, stereo, DVD and Sky in saloon and in all cabins, generator, watermaker, complete linen, washing machine, dryer, dishwasher, complete galley.